"Congratulations! I’m so happy for you.” How many times have we said that to people? When your colleague gets a promotion, when your friend buys a house, or when a family member gets engaged. But how often have we said it with a tinge of...well...envy. In Rachel Mars’ envy affirming Our Carnal Hearts, this very private emotion is put under the spotlight through a wondrous combination of storytelling, music and singing. Mars has the audience hooked from the second she walks into the performance space. She appears confident and relaxed, but her face hints at a cheeky playfulness. It doesn't take long for her mischief to become evident and subsequently spread into the audience, making interactions of sharing our bitterness towards out friends' successes and another involving two plastic chickens all the more entertaining. There’s plenty of humour and light-heartedness in Our Carnal Hearts as we are asked to acknowledge our envy and talk about it just like we do with our joy, sadness and anger. On a slightly darker but highly effective tone, Mars has us consider how fine the line of envy can be, that we can easily become so hell bent on one-upping our neighbours and friends that we end up sabotaging our own chances for happiness and having a better life. It's a clever lesson in appreciating your envy but not letting it consume you. 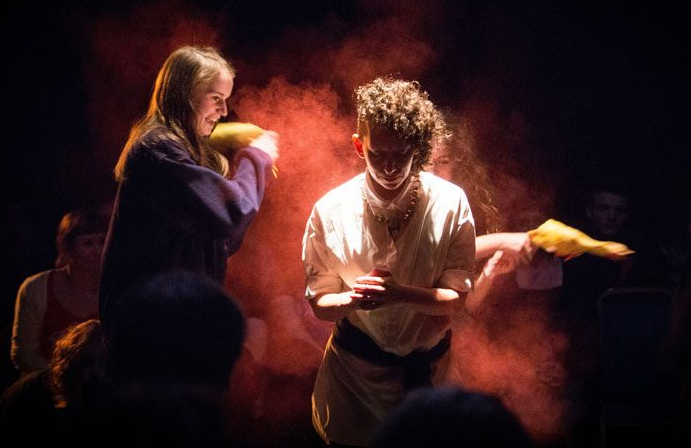 The musical arrangements by Louise Mothersole that are performed by Miriam Crellin, Georgie Darvidis, Louisa Rankin and Mothersole, beautifully complement Mars’ storytelling adding depth and emotion to the show. They are seated around Mars, as are the audience, and no matter where we look we can see them and hear them. It's as if they are the harbingers of envy; we can try to avoid it, but sooner or later it will catch us. Our Carnal Hearts is an opportunity for us to accept the fact that we can - and we do - get jealous. And it’s not a bad thing. Yes our friend may have gone on a European trip recently, yes our ex-partner may have a successful business or yes some unknown person got the grant that you didn’t, but it might just be a simple case of them just being a little bit better than you. And that's okay. Love your envy. Venue: Theatre Works, 14 Acland St, St Kilda.